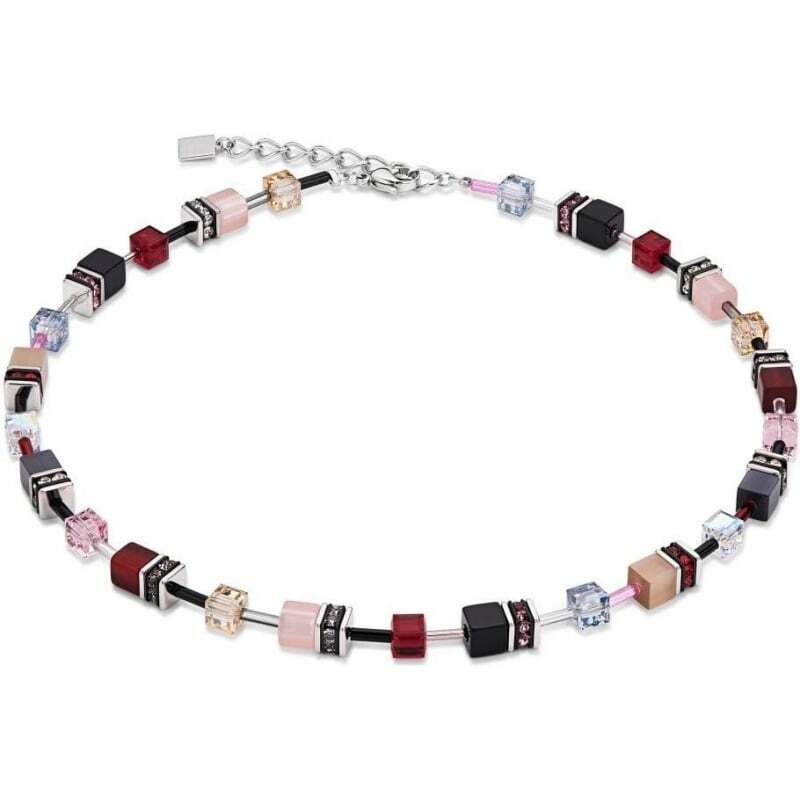 Coeur De Lion Geo Cube Red-Beige Necklace. 41.5 cm + 4 cm extension chain. Synthetic, solid-coloured tiger’s eye, polaris combined with Swarovski® Crystals, glass, rhinestone rondelles with Swarovski® Crystals, stainless steel and fine glass cylinders. Clasp made of stainless steel 316L.